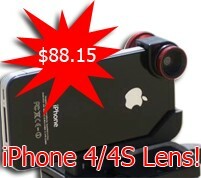 Olloclip Single Lens System - 3-in-1 Lens For iPhone 4 & 4S! The olloclip is a quick-connect lens solution for the iPhone 4 & 4S that includes Fisheye, Wide-angle and Macro lenses in one small, convenient package that easily fits in your pocket. Logitech's new flagship C920 webcam has all the features you need! 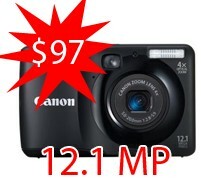 15 Megapixel camera, Full HD 1080p video calling up to 1920x1080, Full HD video recording, H.264 video compression, Built-In dual stereo microphone with automatic noise reduction. 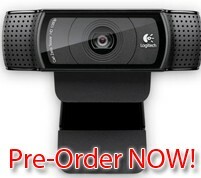 Logitech's new flagship webcam - Click here! 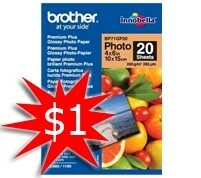 Bargain Price! 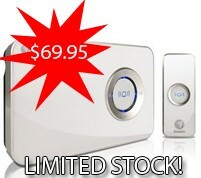 Click Here For More Info! Microtech USB Slide/Film Scanner - 1,800dpi Resolution! Even the most reliable archive methods can't prevent your photos, slides and negatives from fading and becoming damaged. 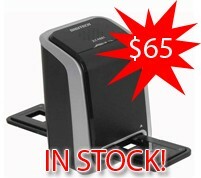 Convert them to digital images quickly and easily with this USB scanner. Images are scanned in about half a second for high-speed conversion and editing using the included Arcsoft Photoimpression software or one of many other image manipulation programs. Click here to personalise your home!